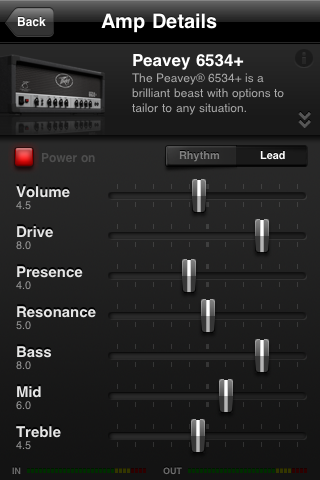 AmpKit+ ($19.99) by Agile Partners is an effects processor that will blow the speakers right out of your earbuds. 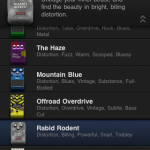 Agile Partners has created a reputation with two apps that no guitarist has left home without. 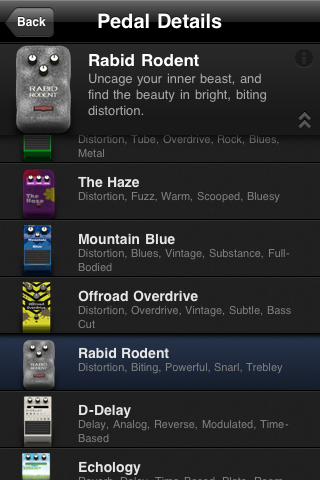 GuitarToolkit and the 2010 Apple Design Award winner, TabToolKit, are some of the most intuitive and beautiful apps available. 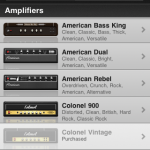 This month, the developers are hoping to raise the bar even higher with AmpKit. Simply put, this app reproduces the tones and effects created by different amps, pedals, and mics (think GarageBand for the iPhone...kind of). 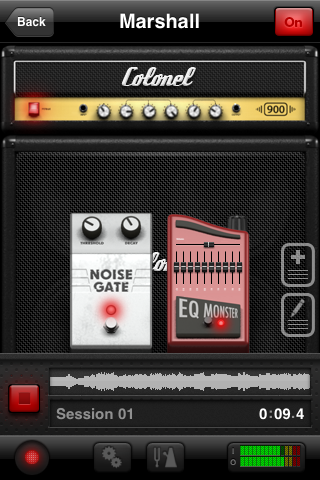 AmpKit is not the first app to simulate guitar effects, but I'll tell you right now that it's the best! 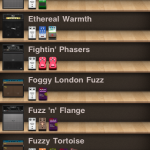 Peavey joined forces with Agile Partners to reproduce the most realistic amp simulator available. 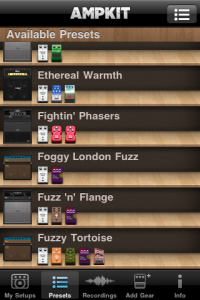 While named differently, you'll find all of your favorite amps including: Marshall JCM900 & JTM45, Mesa Boogie Dual Rectifier, VOX AC30, Fender Hot Rod Deluxe & Twin, not to mention a plethora of Peavey amps including the 6505+. 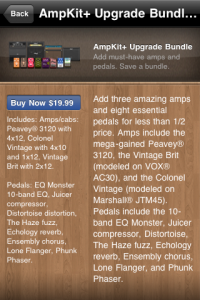 All of the pedals you could want are here as well - too many to mention. 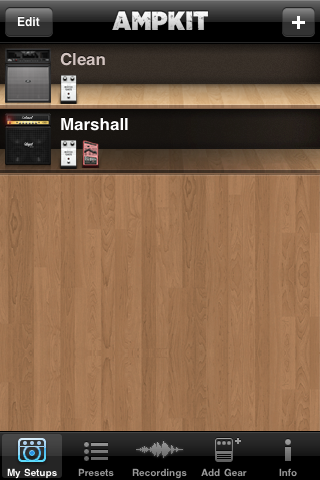 This app really is head and shoulders above the competition in quality. 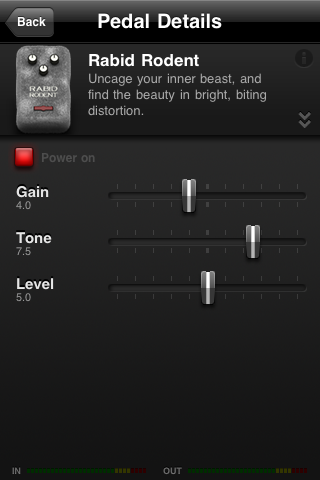 I can't stress that enough, this app is way better than any similar one you've tried on the iPhone. 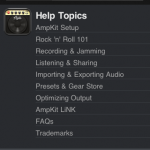 In order to use AmpKit, you'll need an adaptor such as the AmpKit LiNK ($39.99). Don't let the price scare you away; it is well worth the cost. 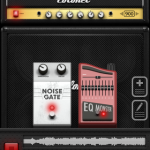 By plugging in your guitar, you've turned your iPhone into a multi-effects processor and just about any amp you could want. 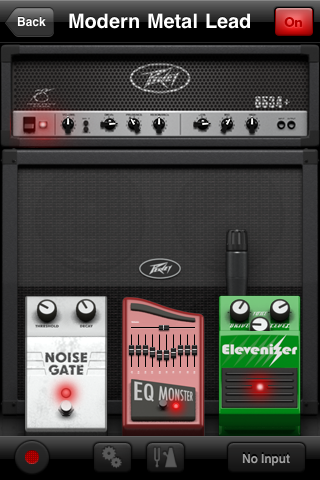 I tested this app playing a Gibson Les Paul Studio through the AmpKit LiNK developed by Peavey and Agile Partners. 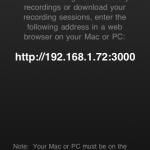 I played it through the Apple headphones, Bose speakers, and my laptop speakers. 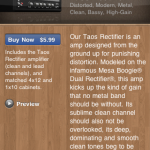 I found the best audio playing through high quality speakers, but you should just play through an amp in that case. 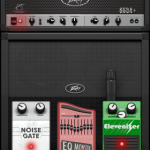 This app is not meant to replace your current rig - it doesn't even come close. 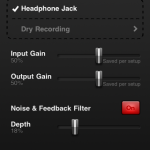 AmpKit does, however, create a great way to quietly practice through headphones whether you're at home or on the road. 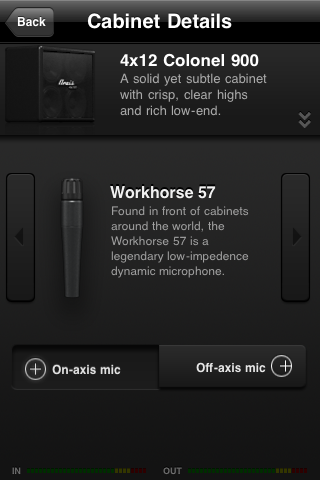 With each speaker setup, I did notice a lot of background noise and crackling. 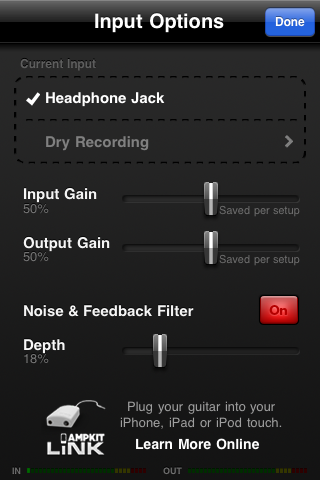 The built-in Noise & Feedback Filter took care of most of the disturbances, but it's not perfect. 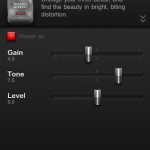 The tonal quality is lost a little playing through your iPhone, and I found it hard to avoid distortion when wanting clean tone. 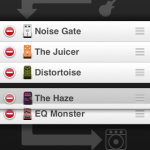 Just remember, you're playing through a phone, it's not going to blow your mind. 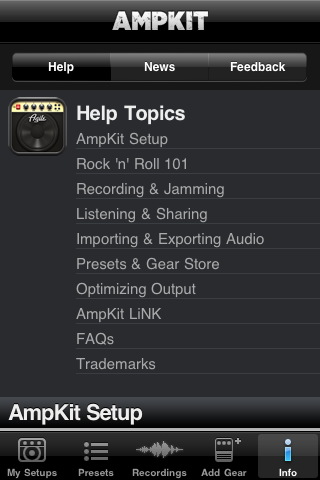 AmpKit is still a massive improvement over previous attempts. 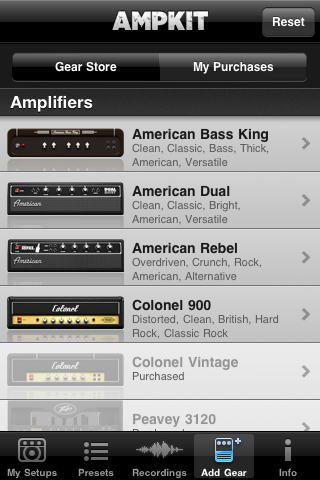 The amp (...I mean app) comes in two versions: AmpKit for free, or AmpKit+ for $19.99. Go for the $20. 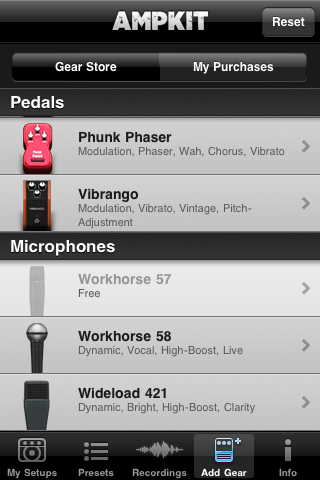 With the free version, you'll start with one amp, two pedals, and two mics. 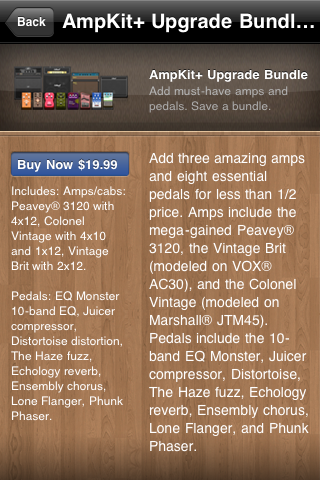 You can add all the upgrades you'd like through in-app-purchases including the AmpKit+ Bundle for $19.99. 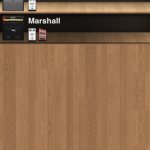 Each item is priced from $0.99 to $5.99, so getting to that $20 mark is pretty easy. 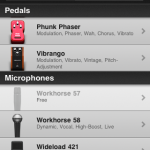 AmpKit+ adds three amps and eight pedals, which you'll quickly find are essential and awesome. 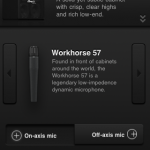 Buying gear is quick and simple. 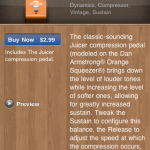 I especially liked the sample sounds of what each item can do. 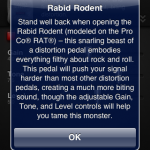 I made the comparison to GarageBand earlier. 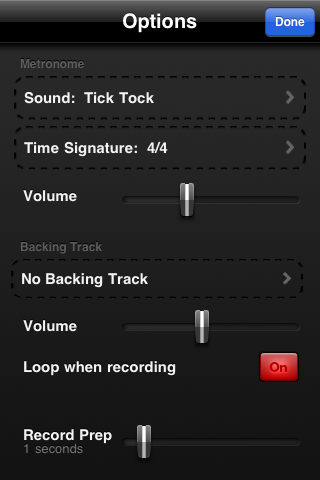 For you Mac users, some of the functionalities in AmpKit will feel very close to those in GarageBand. 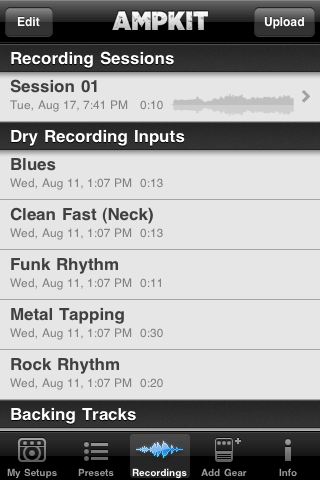 However, this app is not meant to produce and record multiple tracks. 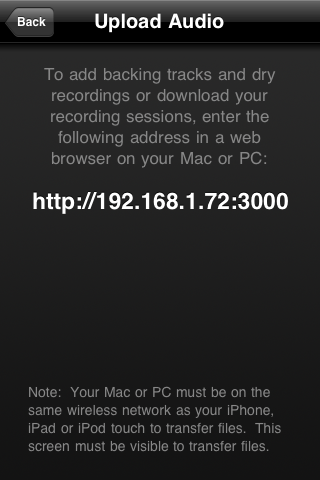 You may record with AmpKit, but you must then upload them to your desktop before the recordings can be useful. 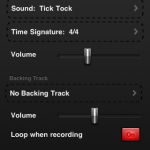 Most users will find this process to be quite simple. 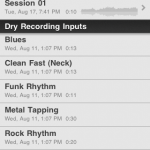 I tested AmpKit playing into GarageBand to recreate tones that I would like to hear. 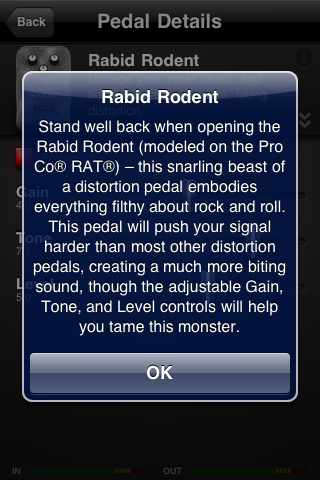 The whole experience was...ok. You'll need to tweak your setup quite a bit in order to get any sound worth listening too. 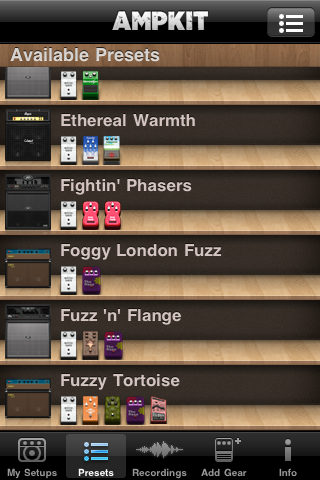 After fiddling with the app for a while, you find it's easier to just use the GarageBand amp simulators. 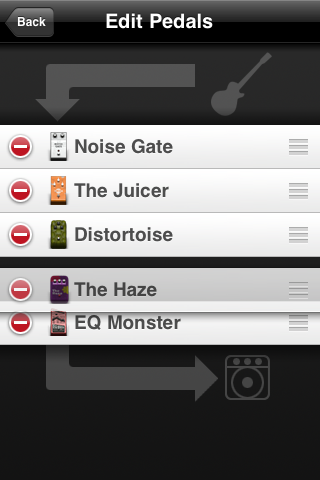 AmpKit is not a replacement for your amp or the best recording software. 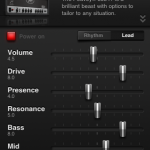 But for practicing on the go, and showing off to your friends, this app can't be beat. 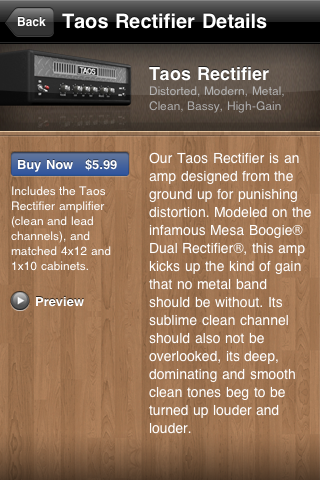 Many of you may be turned off by the steep costs. 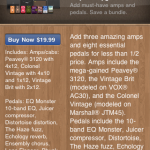 I agree, spending $40 on an adapter, and $20+ on software is expensive for iPhone apps, but most guitarists will realize this is a bargain for what you get. 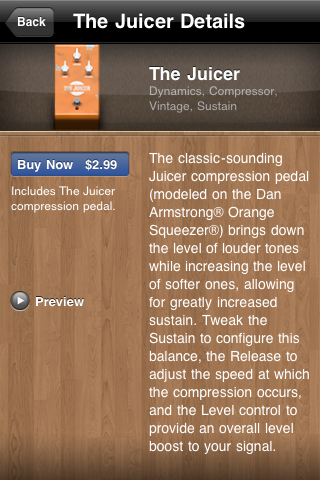 Try reproducing all these sounds with hardware at your local music store - you'll never come close for under $100. 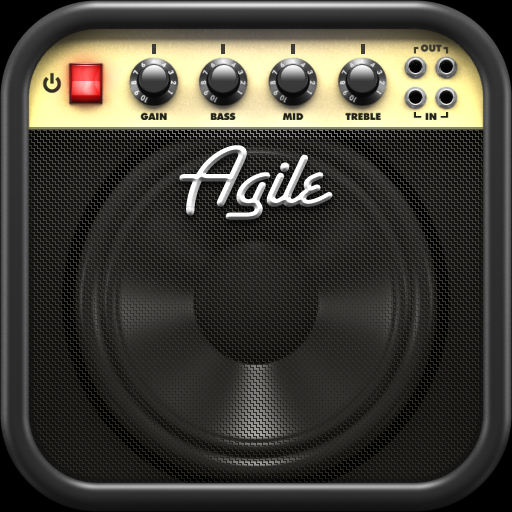 Agile Partners strived to create an app that was better than anything they've created before, and I think they've done it with AmpKit. 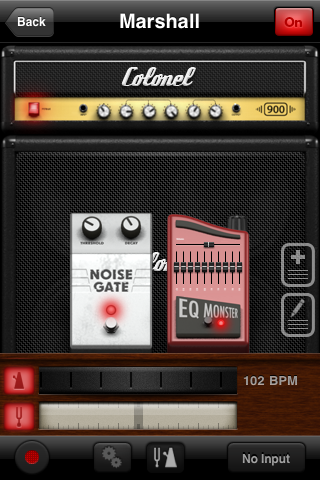 Any guitarist is bound to love this app.